1. The Civil War in Kentucky by Lowell H. Harrison (Univ. Press of Kentucky, 2009 PB reprint, 1st ed. 1975). University presses seem to be on an unusually large run of paperback reissues of current and classic titles. 2. Blue and Gray Diplomacy: A History of Union and Confederate Foreign Relations by Howard Jones (UNC Press, 2009). A number of good diplomatic studies have emerged in recent years, and I am looking forward to Jones's synthesis. 3. The Confederacy's Secret Weapon: The Civil War Illustrations of Frank Vizetelly by Douglas W. Bostick (The History Press, 2009). It's that time of the year again to go back and review the reviews, and make some picks for favorite books read by me over the past twelve months (or so). I'm not going to comment too much, as my thoughts about most can be easily found through the links provided. Clash of Extremes: The Economic Origins of the Civil War by Marc Egnal (Hill and Wang, 2009). I think one can have disagreements with Egnal over points of emphasis and the strength of his overall argument, and still have a healthy respect for his thoroughly fascinating and important book. The Battle of the Crater: A Complete History by John F. Schmutz (McFarland, 2009). I am seeing fewer and fewer books of this type published in recent years. Unfortunate. Fields of Blood: The Prairie Grove Campaign by William L. Shea (Univ. of North Carolina Press, 2009). I just finished Shea's book. A review and interview with the author (hopefully) will be posted in the near future. Army Life: From a Soldier’s Journal, Incidents, Sketches, and Record of Union Soldier's Army Life, in Camp and Field, 1861-1864 edited by Robert G. Schultz (Univ. of Arkansas Press, 2009). In the Trenches at Petersburg: Field Fortifications and Confederate Defeat by Earl J. Hess (Univ. of North Carolina Press, 2009). I would be greatly remiss if I didn't mention the volume above, the conclusion to Earl Hess's impressive three volume study of field fortifications in the eastern theater [my reviews of volumes one and two]. I look forward to his study of earthworks in the Atlanta Campaign (as well as the Knoxville campaign study). The Seventh Star of the Confederacy: Texas During the Civil War edited by Kenneth W. Howell (Univ. of North Texas Press, 2009). A much deserving winner of the A.M. Pate Award. South Carolina Military Organizations During the War Between the States (4 Vols.) by Robert S. Seigler (The History Press, 2008). Mr. Lincoln's Forts: A Guide to the Civil War Defenses of Washington, New Edition by Benjamin Franklin Cooling III and Walton H. Owen II (Scarecrow Press, 2009). The Complete Gettysburg Guide: Walking and Driving Tours of the Battlefield, Town, Cemeteries, Field Hospital Sites, and other Topics of Historical Interest by J. David Petruzzi and Steven Stanley (Savas Beatie, 2009). The Civil War in the Big Sandy Valley of Kentucky, Second Edition by John David Preston (Gateway Press, 2008). Preston's self-published [Gateway is a subsidy press] book could qualify as a reprint, but there is so much revision and added material that it is almost an entirely new (and far better) book. 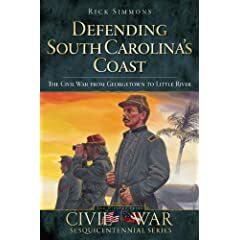 Defending South Carolina's Coast: The Civil War from Georgetown to Little River by Rick Simmons (The History Press, 2009). Booknotes - "Portraits of Conflict: A Photographic History of Missouri in the Civil War"
Still in print (in hardcover or reissued in paperback) and still releasing titles after 20+ years, University of Arkansas Press's Portraits of Conflict is one of the finest Civil War photo essay series ever published. Well conceived in content and presentation, the inaugural Arkansas volume won several design awards, and the succeeding years have seen the format carried over to most of the rest of the Confederate states [of the eleven, Virginia, Florida, and Alabama remain]. Just released this month, the series embarks on something of a new direction, taking the reader through a crucial border state. 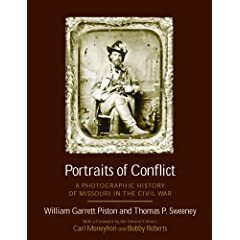 Portraits of Conflict: A Photographic History of Missouri in the Civil War is authored by William Garrett Piston and Thomas P. Sweeney. The pair is well suited for the task, with historian Piston the co-author of the new standard work on the Battle of Wilson's Creek and retired radiologist Sweeney the prior owner of one of the finest Trans-Mississippi Civil War artifact collections in existence. For many years, General Sweeny's museum was a must-see stop for visitors to the Wilson's Creek NBP. Portraits of Conflict: A Photographic History of Mississippi in the Civil War by Bobby Roberts and Carl Moneyhon (1993). Portraits of Conflict: A Photographic History of South Carolina in the Civil War by Richard B. McCaslin (1994). Portraits of Conflict: A Photographic History of Georgia in the Civil War by Anne J. Bailey and Walter J. Fraser Jr. (1996). Portraits of Conflict: A Photographic History of North Carolina in the Civil War by Richard B. McCaslin (1997). Portraits of Conflict: A Photographic History of Texas in the Civil War by Carl Moneyhon and Bobby Roberts (1998). Portraits of Conflict: A Photographic History of Tennessee in the Civil War by Richard B. McCaslin (2007). It'll be a while before I get to the new edition of Mr. Lincoln's Forts: A Guide to the Civil War Defenses of Washington , but "marker hunter" Craig Swain of To the Sound of the Guns blog has posted a quick comparison of the new and old editions. Check it out here. 'Tis the season to buy and receive books in the mail. As a frequent buyer of new & used titles, as well as receiver of review copies from the full range of publishers, I've seen it all when it comes to book packaging. Unfortunately, as a general rule, the situation is not pretty, and it's getting worse by the year. The excellent Multi-D fits in this category, too. Properly fit and with use of a thick, rigid, multi-panel, corrugated cardboad, it is well-nigh impossible to damage a book shipped with this method, no matter the weight [at least, I haven't seen it yet] . The book itself, compressed inside multiple layers of cardboard, cannot move, and the thick corners extending far beyond the dimensions of the book preclude bumping. Unfortunately, the use of this method is fairly uncommon. Note: The book fold pictured here isn't an example of what I consider the best on the market (I couldn't find one), but just gives a general idea of what one looks like. The mainstay of the traditional transaction between book buyer and seller, the use of a good old box has fallen to the wayside, especially with the influx of amateur selling on the internet. The only downside to this method (and thus my A- grade) is the internal packaging must be accorded the attention of a knowledgeable and experienced packager to avoid the book moving around internally and getting damaged. This is basically a single fold of cardboard of various flute grades cut to extra length (usually around twice the length of the book) and secured on both ends by heavy staples. 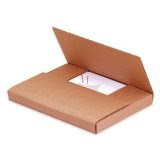 I've had great experiences with this method when thick and rigid corrugated cardboard was used. The single thickness around most of the area contacting the book can cause problems when cheaper materials are used (I've seen that, too). In my mind, this is a far better compromise between max protection and economy than the execrable bubble mailer (see below). The Rigi Bag is thin and flexible enough to be lightweight, cheap, and accommodate a good range of sizes, but just rigid enough to give the book corners a good chance of not getting bumped. It also does a mostly acceptable job of fixing the book in place, minimizing cover rubbing. I have experienced good results in receiving books shipped using this method (actually, I am continually surprised at how well it works, given its non-inspiring appearance). A predicted vulnerability is compression damage from heavier objects during transport, but oddly enough I've never actually seen it, yet. In my opinion, the worst thing to happen to book buying over the past ten years. It has replaced the box as the standard mode of book packaging (not surprising as it is very light and cheaply purchased in bulk). The bubble "protection" is an absolute joke, and the typical paper-covered types tear very easily. This packaging method is far too lightweight and has no internal stiffening, both of which lead almost invariably to hardcovers arriving damaged to some degree (commonly with the corners badly bumped). Softcovers fare no better. Books are not afforded even a reasonable chance of arriving at their destination in the original condition. Most of my review copies are shipped via this method. 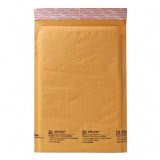 Yes, some people actually ship books using a plain old manila envelope. Need any more be said? 1. Marching With the First Nebraska: A Civil War Diary by August Schernekau, edited by James E. Potter and Edith Robbins (Univ. of Oklahoma Press, 2007). I didn't pick up a copy of this diary when it first came out, as a cursory glance through it at the bookstore gave me the impression of a pretty mundane manuscript with uninspired editing. I've changed my mind since. A paperback edition is due out next February. 2. Counterfeit Gentlemen: Manhood and Humor in the Old South by John Mayfield (Univ. Press of Florida, 2009). 3. Fort Point: Gibraltar of the Pacific by J.G. Motheral (Fort Point Museum Assoc., 1971). 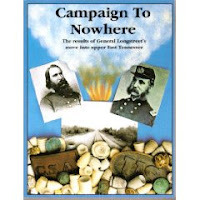 This is a 40-page general history pamphlet, similar to something one buys at the gift shop of various national parks, with a fair amount of Civil War focus. Motheral covers the construction and armament of the fort, as well as some of the pro-Confederate plots by land and sea hatched during the war in California. 4. Family Values in the Old South edited by Craig Thompson Friend and Anya Jabour (Univ. Press of Florida, 2009). This is a collection of ten essays on family life in the antebellum South, with wide coverage of attendant issues (e.g. politics, economics, marriage, death, domestic roles, slavery, and other race relations). Eric Wittenberg recently posted news about his upcoming Brandy Station book, which will be part of The History Press's Civil War Sesquicentennial series. Two of the brand new releases interest me, Michael D. Coker's The Battle of Port Royal and The Battle of Okolona: Defending the Mississippi Prairie by Brandon H. Beck. Both cover battles that have never received adequate book length coverage before. From those that I've read, I like the series overall. The chosen format lends itself well to shorter subjects, and the series as a whole has a nice variety in its addressing of new and familiar material. Simmons: "DEFENDING SOUTH CAROLINA'S COAST: The Civil War from Georgetown to Little River"
Not surprisingly given the city's real and symbolic importance, most book length military studies of the Civil War on South Carolina's coastline center on Charleston. Part of what makes Rick Simmons' new book Defending South Carolina's Coast so attractive and original is that it shifts the attention in the opposite direction, up the Atlantic coast from the Palmetto City. Why is the region between Winyah Bay in the south and Little River Inlet to the north worthy of study beyond local interest? Like many other areas, it's largely a question of economics and opportunity. Located up Winyah Bay, an inland waterway formed by the confluence of a number of rivers (Pee Dee, Waccamaw, Black, and Sampit), the deep water port of Georgetown, South Carolina was, according the Simmons, the center of the most lucrative rice producing region in the country. The Confederacy's Mars Bluff Naval Yard also was constructed nearby on the east bank of the Pee Dee River in Marion County. These facts were known to both sides (and the Confederates initially assigned 3,000 men for regional defense), but the attention paid to the area waxed and waned throughout the war, with Charleston and points elsewhere constantly drawing down the Confederate garrisons. However, with Charleston constantly under pressure by land and sea, the stretch of coastline to the north would become a significant haven for blockade runners. This in turn led to frequent Union coastal raids and naval attacks up the often vulnerable waterways. Simmons's narrative does a fine job of covering these events in detail, from the construction of the Confederate earthwork fortifications on North, South, and Cat Islands near the entrance to Winyah Bay as well as those [Battery White, Fort Wool, Frazier's Point battery] guarding Georgetown itself, to the Union operations at Little River and Murrell's Inlet. Confederate troop movements in and out of the district are carefully monitored in the text. The author also devotes a chapter to the Mars Bluff gunboat C.S.S. Pee Dee, as well as the equally unfortunate U.S.S. Harvest Moon. At the end of each chapter is a site preservation summary. Numerous period and modern photographs, as well as some nice drawings, supplement the text. A bibliography and index were also included. There are a few weaknesses. While the book's author is an academic [a professor at Louisiana Tech], he elected to take the popular history approach and dispense with footnotes. This will not bother most readers, but will disappoint those hoping to utilize the notes to learn more about the subject and the available source material. Although the archival maps sprinkled throughout help orient the reader to specific points mentioned in the text, one wishes Simmons had also included a large scale map of the region to bring it all together. The above flaws aside, Defending South Carolina's Coast is my favorite entry to date from THP's burgeoning Civil War Sesquicentennial Series. 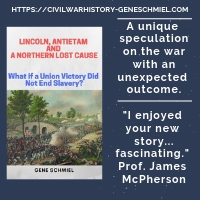 Rick Simmons has crafted a useful, well written, and completely original contribution to the literature, one that will be valued by new and old students of the Civil War in South Carolina. Highly recommended. Alabama has a wealth of titles coming out. We've all read innumerable anecdotes about a wounded or cornered soldier flashing the Masonic sign of distress (whatever that is), the immediate result of which is mercy at the hands of an enemy Mason. Now, we finally have a scholarly study of the phenomenon. The Columbus study sounds really good (the author provided a TOC in an earlier post). Lewis's book looks to do for Zachary Taylor's campaign what Timothy Johnson did for Scott's Mexico City campaign. The Gamecocks will have a trio of edited letter collections available. Joe Reinhart, with his writing, editing, and translation work, has done as much as anyone to bring the experiences of northern German soldiers to Civil War scholars and readers. I've been wondering what Kenneth Noe has been up to in terms of his next book project. Now I know. Other topics that have received a good amount of scholarly attention in recent years (see esp. Bowman and Bynum below) are also covered. I am looking forward to Schafer's updating and expansion on his earlier work on the Civil War in Jacksonville. SIUP's essay compilation series dealing with western theater military campaigns gets its next entry. No doubt inspired by the Reed classic, naval historian Craig Symonds's new book is a collection of ten essays. From the publisher's description: "Presented in chronological order, each essay illuminates an aspect of combined operations during a time of changing technology and doctrine." If you are interested in the many Civil War battles that took place along the entire length of the Arkansas River Valley during 1863, then UOP has the book for you (and me). Tusculum College library director and professor Myron J. Smith, Jr. has quietly put together a monumental naval series. Actually, it is not formally presented as a series but the trio of Le Roy Fitch: The Civil War Career of a Union River Gunboat Commander (McFarland, 2007), The Timberclads in the Civil War: The Lexington, Conestoga, and Tyler on the Western Waters (McFarland, 2008), and now Tinclads in the Civil War: Union Light-Draught Gunboat Operations on Western Waters, 1862-1865 (McFarland, 2009) together comprise an extraordinarily comprehensive yet minutely detailed look at the gunboat war on the western waterways. Fitch takes the reader along the Ohio, Cumberland, and Tennessee rivers, while Timberclads moves the action from the Tennessee River to the Mississippi, White, Arkansas, and Red rivers, among other tributaries. The new volume, Tinclads in the Civil War, is similarly broad. It is unfortunate that the costs of these books will likely keep them from the scale of personal library circulation that they abundantly deserve (the latest book is a paperback, priced at $55). I wonder if the ironclads are next up. Back in 1982, the author published a history of the City-Class gunboat U.S.S. Carondelet so there's some interest there [ed. 12/8: looks like there's a reprint planned]. 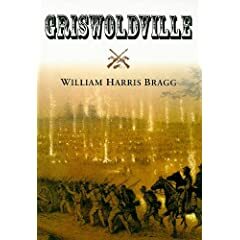 First published back in 2000, William Harris Bragg's Griswoldville was reissued in September in a new paperback edition. Equal parts biography, town history, and military study, Bragg's book employs an unusual, but well executed, approach. The book begins with the peacetime story of Samuel Griswold, a Connecticut-born landowner and industrialist, who later founded an industrial village approximately ten miles east of Macon, Georgia. Originally a successful designer and manufacturer of cotton gins, Griswold would eventually convert his business to the making of arms -- the Griswold & Gunnison revolver (patterned after the 36 caliber Colt "Navy") -- when war broke out. Twice in 1864, first during General George Stoneman's disastrous raid and later amid Sherman's March, Griswoldville was threatened by Union forces. Eventually, the settlement was burned to the ground. Those background events are covered in brief by Bragg, but several chapters are devoted to the November 22, 1864 Battle of Griswoldville, a bloody defeat of a numerically superior force of Georgia militia at the hands of a veteran and well positioned Union infantry brigade. The author's tactical narrative does not treat the events of the battle in great detail (as opposed to the flawed, but worthwhile, Fields of Gray by Gary Livingston), but it will suffice for most readers. The volume is very attractive, almost bursting with 97 full-page maps, photographs, and drawings, many of which are published for the first time. Although this leaves the reader with something over 60 pages of main text, this is not an overview study reliant on previously published works. Bragg's work is strongly based on a range of primary source materials and his notes are extensive. An informative snapshot of the social, economic, and military history of a small but important Georgia town, Griswoldville should appeal to both dedicated Civil War students and local history enthusiasts. Recommended. Rumley & Browning (ed. ): "THE SOUTHERN MIND UNDER UNION RULE: The Diary of James Rumley, Beaufort, North Carolina, 1862-1865"
Published in book form for the first time under the title The Southern Mind Under Union Rule, and edited by historian Judkin Browning, The James Rumley diary provides much in the way of insight into the mindset of a strongly pro-Confederate resident of an occupied town. Given that the town of Beaufort, North Carolina was occupied continuously from March 1862 onward, readers also see a middle class white resident's view of the ongoing social changes wrought by the war in an area with a significant slave population. Suffice it to say he was none too pleased with the succession of Union occupying forces and their commanders, as well as the recruitment of black units, the members of which often clashed with the locals. The diary itself has something of an interesting backstory. The original manuscript has disappeared (only the text published in newspaper serial form is extant), and the authorship was in doubt for a time, not helped by the fact that Rumley refers to himself in the third person throughout. The serialized copies remain in the Levi Woodbury Pigott Collection at the state archive, among the papers of the individual originally supposed to be the author. Undoubtedly, Rumley, a Carteret County court clerk, used his diary as an outlet for his frustrations at a disappearing world. Vitriol and sarcasm abound, with much of it reserved for the newfound freedoms and power accorded to blacks by the Union occupation authorities. Rumley also paid close attention to military movements along the coast, making his diary a useful source for 1862-1865 army and navy operations in the Beaufort area and beyond. Judkin's annotations, explanatory footnotes dealing primarily with persons and events mentioned or described in the diary, are very useful adjuncts to the text. A full bibliography and a good index were also included. The book itself, bound in yellow cloth, is a handsome volume. 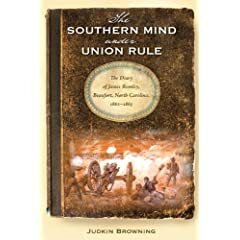 The Southern Mind Under Union Rule is recommended on several fronts. As an articulate account of Union occupation it is superb, and it also carefully recounts the breaking down of the old social order maintained between blacks and whites in coastal North Carolina from a Confederate point of view. The diary also provides some insight into local military operations. The Civil War Round Table of Fort Worth has awarded its 2009 A.M. Pate Jr. Award to The Seventh Star of the Confederacy: Texas During the Civil War and its editor Kenneth W. Howell. The yearly book honor seeks to reward "outstanding original research on the Trans-Mississippi sector of the Civil War". 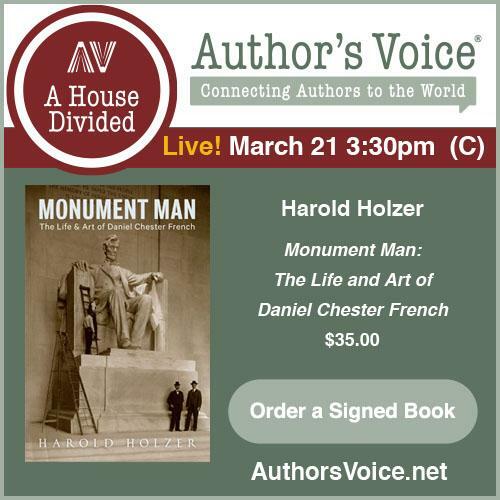 Congratulations to Prof. Howell and the rest of the contributors. This reminds me I need to start putting together my annual "best of" list. Of course, there is no prestige or monetary gain attached, but it offers me one last opportunity to highlight my favorite books of the year before the posts are finally relegated to the blog archives and search engine land. 1. Engineering Security: The Corps of Engineers and Third System Defense Policy, 1815-1861 by Mark A. Smith (Univ. of Alabama Press, 2009). I think anyone interested in the philosophy and implementation of the Third System will want to read this one. A drawback that is immediately apparent is the inclusion of only a handful of illustrations. Those expecting detailed maps and schematics (similar to the one on the cover) will be disappointed. 2. Indiana's War: The Civil War in Documents edited by Richard F. Nation and Stephen E. Towne (Ohio Univ. Press, 2009). 3. The Maps of Chickamauga: An Atlas of the Chickamauga Campaign, Including the Tullahoma Operations, June 22 - September 23, 1863 by David A. Powell and David A. Friedrichs (Savas Beatie, 2009). 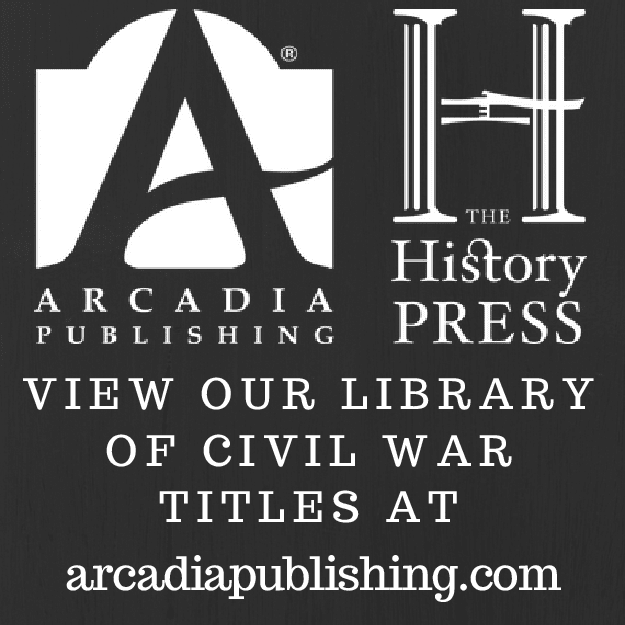 "THE BATTLE OF FRANKLIN: When the Devil had Full Possession of the Earth"
The History Press's Civil War Sesquicentennial Series has published a number of battle overviews over the past year or so. 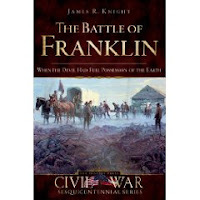 Along with Cedar Creek, Chancellorsville, and Perryville titles is James R. Knight's The Battle of Franklin: When the Devil had Full Possession of the Earth (2009. Softcover, maps, photos, illustrations, appendix, notes. 160 pages. $19.99). In it, the author recounts the missed Confederate opportunity at Spring Hill, Tennessee (November 29, 1864) and the horrific battle that followed late the next day at Franklin, weaving into it the human interest story of the Fountain Branch Carter family. The main body of the narrative covers 110 heavily illustrated pages, which obviously precludes a detailed tactical history, but Knight writes very well and, working within the framework given, does a fine job of paring events down to their essentials while at the time time maintaining a lively narrative. His study is synthetic in nature, the notes indicating a reliance on the established book length works on the campaign from McDonough, Connelly, Sword, and particularly the newest study by Eric Jacobson*, with his own opinions offered. Knight's tone is dispassionate, and his coverage evenhanded. He does not dwell on the major controversies of the campaign, simply expressing his agreement with the lack of evidence for prior assertions that John Bell Hood was under the influence of heavy medication or was seeking to punish his army (especially Cheatham's Corps) at Franklin for the earlier failure at Spring Hill. As stated above, the volume is well stocked with maps, drawings, and photographs (period and modern). The cartography is reproduced from other sources, the best of which were taken from a large, very detailed Battle of Franklin map (attributed to the Carter House Archives) that I haven't seen before. The appendix is a good regiment and battery-scale order of battle that provides additional information on numbers, leader casualties, and flag captures. Knight's book is an excellent option for introducing new readers to the subject, and also will serve well those general Civil War enthusiasts looking for a quick, objective, and up to date survey of military events surrounding Spring Hill and Franklin. * - CWBA review and interview with Jacobson. Dr. Daniel E. Sutherland is currently a professor in the history department of the University of Arkansas. He has written or edited twelve Civil War-related books*, and has graciously agreed to discuss with me his latest work, A Savage Conflict: The Decisive Role of Guerrillas in the American Civil War (UNC Press, 2009). DW: Prof. Sutherland, you have published widely on various aspects of the guerrilla conflict, what got you interested in the subject? DES: Pure chance. Around 1992, the editor of the Arkansas Historical Quarterly asked me to write an article about guerrillas in Arkansas for a special Civil War issue of the journal. At the time, I had published an edited edition of the reminiscences of a Confederate soldier from Arkansas [ed. note: Reminiscences of a Private: William E. Bevins of the First Arkansas Infantry (University of Arkansas Press, 1992)] , but, having just moved to the state a couple of years earlier, I still knew little about the war in Arkansas, and virtually nothing about the guerrilla war. But the editor cajoled me, I complied, and the seed was sown. I then began to take notice of the guerrilla war in other parts of the Confederacy and to compare what had happened in those places to what had happened in Arkansas. I discovered enormous gaps in our historical knowledge of the guerrilla war, and soon realized that it had been treated, as Bruce Catton once wrote, as a mere “side show.” That was when I decided to take a crack at telling the whole story. DW: I gather that you’ve been at the University of Arkansas for some time now. Have you noticed any trends – good or bad – in student interest in the study of the Civil War (in Arkansas or as a whole)? DES: I have been at the U. of A. since 1989, but I cannot say that I have seen any shift in student interest in the war. Interest has remained consistently high, and I certainly have never had a problem filling my course on the war, which I teach every fall term. I think that may be due to my efforts to include all dimensions of the war. I devote about half the course to military history, but also address important political, diplomatic, economic, and social issues. Nor do I play favorites by presenting either a “northern” or “southern” view of the war. I think that is not always the case in college courses, and I know there is a trend in some places to slight the military side altogether. DW: The best work on the guerrilla war remains the many local and regional studies published over the past few decades, covering nearly all the border and Confederate states. Do you view your own work in “A Savage Conflict” as a signal of sorts that we can now begin to synthesize all of this great foundational work? DES: My intention was to write as much of a synthesis as possible, as well as to place the guerrilla war in the context of the broader conflict. Indeed, I wrote the book as a narrative of the Civil War, though told from the perspective of the guerrilla war. In order to do that, I relied heavily on existing local and regional studies, but I also filled in significant gaps with my own original research. Altogether, it took me about fifteen years to research and write the book. I think, though, that before the next synthesis of the guerrilla war is written, even more work should be done at the local and regional level. As I said, I tried to fill some of the gaps, but that is not to say much more might yet be done. I must say, too, that I am struck by the startling implications of this question: Who, fifteen years or twenty ago, would have suggested the need for a synthesis of the guerrilla war?! That old “side show” has finally been recognized for the important subject it is, and one worthy of continuing investigation. Bruce Catton would be pleased. DW: Would you briefly outline for the readers what you feel to be the main point(s) you wished to get across to readers of “A Savage Conflict”? DES: I tried to summarize those main points in a recent article for North & South magazine (the June issue). I listed ten issues in the article, but I suppose that number could be boiled down to four main points. First, I would stress the enormous geographical scope of the guerrilla war, which has been sorely underestimated. Most students of the war are aware of important pockets of guerrilla activity, such as Missouri and Virginia, but the fact is that fierce guerrilla conflicts could be found in every southern state plus Kansas and parts of the lower Midwest, from Iowa to Ohio. Second, it must be remembered that the guerrilla war was not a one-sided affair, waged only by the Confederates. Plenty of southern unionists also organized guerrilla bands to wage war against rebel neighbors. Third, and leading from this second point, the guerrilla war was not an entirely military affair, in the sense of Confederate guerrillas doing battle with the Union army. The majority of guerrilla violence came from conflicts between neighboring bands of rebel and unionists guerrillas, which struggled to protect their families and maintain control of their communities. Fourth, the response of the Union army to rebel guerrillas and to the civilian populations that supported them changed the entire nature of the war. This is where the war became a savage conflict. The Union army retaliated against everyone associated with rebel guerrilla resistance, thus spreading the violence of the war to parts of the South that never witnessed a conventional battle or dealt with an army of occupation. Add to this the bitter neighborhood wars between rival guerrilla bands and the tendency of the guerrilla war to dissolve into mere brigandage, and much of the South had fallen into utter chaos by the spring of 1865. These circumstances demoralized Confederate civilians, made them think their government could no longer protect them, and, if not turning them actively against the war, led them at least to prefer peace. So, far from being a “side show,” the guerrilla war was a decisive element in Confederate defeat. DW: At this point, what direction would you like to see the study of Civil War guerrilla warfare take? DES: As I said, we can never have too many studies of local and regional conditions. That is the best way to check and possibly correct the generalizations made in work like my own. Such micro-studies might examine the composition of guerrilla bands, to see exactly who became a guerrilla and why people preferred to fight the war in that way. They might also examine the reasons for those local wars, between rebel and unionist guerrillas. Were they caused by disagreements over political issues, or were economic concerns of great import? Perhaps they were purely personal affairs, family feuds if you will. I know all three of these things to have been important in some places. Personally, I would also like to know more about Union counter-guerrilla operations and the impact of the guerrilla war on the northern public’s perception of the war. I spend some time in my book discussing the response to immediate threats by rebel guerrillas to the security of the lower Midwest, but I think there is much more to learn about the situation north of the Ohio River. Speaking of rivers, I believe more could be done to understand the war between the Union navy and rebel guerrillas. Attacks on Union shipping on the western rivers, especially, was a major headache for the Federals, and retaliation by the Union navy was as fierce as that by the Union army. DW: There does need to be more work published about the navy's role. In Punitive War, Clay Mountcastle did a good job of summarizing the extent and severity of the Brown Water Navy's retaliatory operations, but, like you say, there is more to be done. What do you think of Mountcastle’s thesis, put forth in Punitive War, that the southern resort to guerrilla warfare was the primary driving force behind the application of hard war/punitive (whatever one wishes to call it) war? DES: Clay is exactly right, and, as suggested above, that is an important theme in my own book. The difference in our books is that Clay uses selected instances to make his case, whereas Union retaliation is a consistent sub-theme in my work. I would be careful, though, about suggesting that the Confederates “resorted” to guerrilla warfare. Rebel guerrilla bands were organized and engaged in action before any Confederate armies could be mustered, organized, equipped, and trained. Likewise, rebel guerrillas were the last of the Confederates to give up the war. The grand Confederate hope was to integrate the conventional and unconventional wars in a united strategy, but, for a variety of reasons that I discuss in the book, this proved impossible. DW: Yes, "resorted" was simply sloppy wording on my part! I certainly agree that the irregular and regular 'wars' operated in parallel (with some cross-over) rather than from some sort of progression. In your opinion, what remains the most significant misconception among Civil War historians about the impact and significance of the guerrilla war? DES: To return once more to my list of ten, I suppose I would say the extent of its impact. Everyone knows that the guerrilla war was a brutal business, but it has been hard to shake that “side show” image. Yet, given the scope of the guerrilla war and significance of its direct and indirect impact on soldiers and civilians alike, I do not see how it can be judged as anything less than a decisive factor in determining the outcome of the war. DW: Do you agree that much of the scholarly literature continues to understate the scale of physical destruction wrought by the armies on the civilian population, and, if so, what do you attribute it to? DES: Very much understates it, and I can only attribute this tendency to a lack of balance and historical context. Every historian who has taken this position has viewed the war from a largely northern perspective, usually in an effort to explain (and sometimes to justify) Union military policy. That is all well and good as far as it goes, but when policy is viewed from only one perspective, the practical consequences of its implementation can too easily be underestimated. In trying to understand the Union perspective, too many scholars also accept the justification for Union actions without looking closely enough at the consequences. A Union raiding party that destroyed only the out buildings, crops, and tools on a rebel farm, while leaving the house untouched, might have thought it was showing leniency and practicing conciliation, but the now destitute rebel family, with nothing left to eat and no means of sustaining itself, likely took a very different view. I think it behooves scholars to look beyond the official documents and policy justifications of one side, be it Union or Confederate, to read a few letters and diaries written by the people who become the targets of that policy. I like to think that I have avoided this trap in my book by offering a balanced assessment of both sides. DW: It is still very common for Civil War authors (scholars and amateurs alike) to divide the war into "conciliatory" and "hard war" periods. Do you find this to be a useful distinction in your own work? DES: It is useful only to a point, and not nearly as neat and orderly a division as some scholars have suggested. Abraham Lincoln hoped, without question, that a conciliatory approach to the South would pay political dividends early in the war, but it is unwise to think that all commanders in the field, let alone men in the ranks, shared the president’s generous spirit. Instances of “hard war” (little more than a northern euphemism for “total war”) abounded (and on both sides) from the earliest days of the war, the supposed “conciliatory” period. Going beyond my response to the previous question, I would agree that historians who write about the restraint of Union policy are right in identifying the preferred treatment of rebel property and citizens, but the real world of military campaigns and the reaction of soldiers in the field to the perils around them quickly made nonsense of the ideal. For example, some scholars offer the Lieber Code as proof that the Union army waged a restrained and morally justifiable war against rebel citizens. Well, it is nothing of the kind. The code shows only the intentions and hopes of a few men in the Union high command, and even Professor Lieber doubted the practical value of his work in controlling the behavior of soldiers in the field. I have also been struck by how very rarely the code is mentioned in the letters, dairies, and reports of Union soldiers and officers. DW: A good part of your work is focused on the Trans-Mississippi. I find it a little dismaying that so many people, even in the face of a constant stream of books and articles, still try to maintain that the western theater is overly neglected. It is still overshadowed by the East, but not terribly so. They could make a better argument for the status of Trans-Mississippi theater scholarship, but, even there, the literature is fairly substantial. Do you think we are yet at the point when we can shed labels like ignored, overlooked, neglected, understudied, etc. when it comes to the T-M? DES: Do you mean shedding such labels as “side show”?! I fear not. Even the guerrilla war now stands a better chance than the Trans-Mississippi of being taken seriously. The fact is that our national narrative of the Civil War still revolves around the big Eastern campaigns, battles, and personalities, especially for the general or casual student of the war. And, in truth, this is not entirely unreasonable. After all, the focus during the war was also on the East. There stood the two national capitals, at Washington and Richmond. The bulk of the population, North and South, resided in the East. Lincoln himself lamented this perception of the East as the place where the war would be won or lost, and, in point of fact, a growing number of scholars now understand that Union victory in the Western Theater, if not the Trans-Mississippi, ultimately decided the contest. But I fear the Trans-Mississippi will never receive as much attention as it deserves. The most we can hope is that people will eventually appreciate its role in the war, and of that, there are, in fact, encouraging signs. DW: Well, that will do it. Thank you again for joining me for this author Q&A. Can you tell the readers anything about your next project? DES: I am taking a break from the Civil War in my current project, which is a biography of American artist James McNeill Whistler. I have never written exclusively about the war, or even of the war years, and I have always wanted to write a biography. I have found a fascinating subject in Whistler, who, in his own way, might be considered a guerrilla in the world of nineteenth-century art. - A Savage Conflict: The Decisive Role of Guerrillas in the American Civil War (University of North Carolina Press, 2009). - From Shiloh to Savannah: The Seventh Illinois Infantry in the Civil War, by Daniel Leib Ambrose; editor (Northern Illinois University Press, 2003). - This Terrible War: The Civil War and Its Aftermath, editor with Michael Fellman and Lesley Jill Gordon (Longman, 2002). - Civil War Arkansas: Beyond Battles and Leaders, co-editor with Anne J. Bailey (University of Arkansas Press, 2000). - Guerrillas, Unionists, and Violence on the Confederate Home Front, editor (University of Arkansas Press, 1999). - Fredericksburg and Chancellorsville: The Dare Mark Campaign (University of Nebraska Press, 1998). - A Very Violent Rebel: The Civil War Diary of Ellen Renshaw House. editor (University of Tennesse Press, 1996). - The Emergence of Total War (Ryan Place, 1996). - Seasons of War: The Ordeal of a Confederate Community, 1861-1865 (Free Press, 1995). - Reminiscences of a Private: William E. Bevins of the First Arkansas Infantry. editor (University of Arkansas Press, 1992). - The Expansion of Everyday Life, 1860-1876 (HarperCollins, 1989). 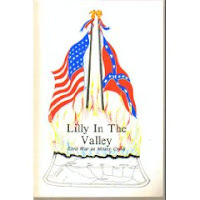 - The Confederate Carpetbaggers (Louisiana State University Press, 1988). The new website for Clark Kenyon's revamped and refocused publishing service business entity Camp Pope Publishing is up and running. The booklist of press titles can be found at this link: The Camp Pope Bookshop. On a side note: the liquidation sale is still on, having been extended from its previously announced November 15 end. There are still some good titles available. The flu has laid me low, and now my On The Shelf list is burgeoning. With reading giving me a headache, it's a good thing I always have a ready backlog of posts and reviews for just such an occasion. 1. Mr. Lincoln's Forts: A Guide to the Civil War Defenses of Washington, New Edition by Benjamin Franklin Cooling III and Walton H. Owen II (The Scarecrow Press, 2010). 2. Orlando M. Poe: Civil War General and Great Lakes Engineer by Paul Taylor (Kent State Univ. Press, 2009). One of the great engineering officers of the war finally gets his due. 3. Blue Springs: A History of the Desperate Battles at Blue Springs for the Control of Upper East Tennessee During the Civil War by William A. Beard III (Town of Mosheim and Strawberry Plains Press, 1997). As we all know, much of the fighting in E. Tennessee has been neglected in the published literature. Commissioned by the Town of Mosheim, which puts on a Blue Springs reenactment, this study does a nice job of filling in some of the gaps. I'll write much more about Beard's book in a pair of future posts. First published in 1884, Albert O. Marshall's memoir of his service with the 33rd Illinois Infantry (the "Normal Regiment") is an account certainly worthy of a new annotated edition. Army Life: From a Soldier’s Journal, Incidents, Sketches, and Record of Union Soldier's Army Life, in Camp and Field, 1861-1864 , edited by Missouri historian Robert G. Schultz (University of Arkansas Press, 2009), documents an unusual wartime journey. The 33rd was an Illinois regiment that spent nearly all of its active service in the Trans-Mississippi theater [in Missouri, Arkansas, Louisiana, and Texas]. It also participated in the Vicksburg Campaign. The richness and detail of Marshall's writing (especially that of military events), compiled in 1880 using a range of other documents, is atypical of memoirs written from the perspective of private Civil War soldiers. 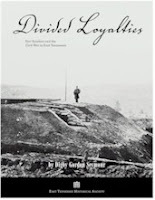 The author recounts the usual experiences of camp life and interactions with the local populace, but what sets his memoir apart are his minute accounts of his regiment's involvement in a number of military campaigns. Trans-Mississippi researchers will appreciate Marshall's history of his unit's movements and fighting in SE Missouri in 1861, NE Arkansas in 1862 (specifically the battle of Cache River), and operations on the Texas coast (Matagorda Island) in 1863-1864. Though relatively few in number, editor Robert Schultz's annotations of the text perform a valuable function in providing extensive background material, source discussions, and correctives. In addition to some photographs of key figures, Schultz also gathered a pretty good set of previously published maps to orient the reader. A full bibliography and a good index round out the volume. This new edition of Army Life is an admirable addition to the Trans-Mississippi Civil War literature, and is deserving of an even wider readership. 1. 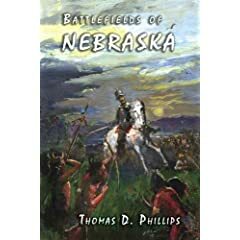 Fields of Blood: The Prairie Grove Campaign by William L. Shea (UNC Press, 2009). Fields of Blood has been one of the most anticipated T-M titles of recent years, and it's finally here. It looks almost certain to fulfill lofty expectations. The only instant shortcoming I see is the lack of topographical detail (at least in comparison to Shea and Hess's Pea Ridge campaign study) with the cartography, which is otherwise fine in its depiction of small unit battlefield movements and positions. 2. Missouri's War: The Civil War in Documents edited by Silvana R. Siddali (Ohio Univ. Press, 2009). This is the second volume in OUP's Civil War in the Great Interior series. Ohio was the first, and this Missouri entry appears to be a much more substantial collection of documents. There is an Indiana volume just out, as well, with future ones on Kansas, Michigan, and Wisconsin in the works. 3. Arming the Suckers 1861-1865: A Compilation of Illinois Civil War Weapons by Ken Baumann (Morningside, 1989). The best resource out there for information on the weaponry issued to Illinois units. Once again, I've been neglecting the Q&A feature of the site, with the last interview posted way back in April. I do have a couple new ones lined up. Next up will be Dr. Daniel E. Sutherland of the University of Arkansas. I reviewed his latest book A Savage Conflict back in August. He always has something interesting to say. Following that will be a Q&A with Dr. William L. Shea, University of Arkansas at Monticello professor and author of the new Prairie Grove campaign study Fields of Blood . A preview-type interview has already been done elsewhere, so I am looking to put something together after I've finished the book and digested it. I am getting antsy because my copy hasn't arrived yet. I would also like to do an interview with someone at a university press, but I haven't decided on whom to ask. For as many books as Edward Longacre has authored, I don't think I've actually read any of them (maybe his Pickett bio years ago), but the subject matter of his new study Cavalry of the Heartland: The Mounted Forces of the Army of Tennessee (Westholme Publishing, 2009) alone marked it as a highly anticipated title for me. Glancing through it, it looks to be a quite detailed operational history of the western cavalry [the main text runs almost 350 pages at a small print font]. The bibliography is extensive -- by my rough count, almost 400 manuscript collections were cited. There are ten maps altogether, two battlefield drawings (Ft. Donelson and Monroe's Crossroads) with the balance composed of maps tracing operational scale movements. I think it's safe to say that western theater enthusiasts will want to grab a copy of this book, another good looking title from Westholme. From what I can tell online, it appears to be scheduled for general release in a week or so.